Place a spring roll wrapper on a clean bench top with one corner closest to you. Spread wrapper with a teaspoon of hoisin sauce. Top with a few batons of spring onion and slices of duck. Fold the bottom corner of the wrapper over the filling to form a sausage shape. Then fold in sides and roll up from bottom to top. Just before reaching the top corner, use your finger to brush the corner with flour mixture and continue rolling to seal. Repeat until you have 16 spring rolls. Heat oil to 180°C (oil is hot enough when you place a wooden spoon into the oil and it produces lots of bubbles). 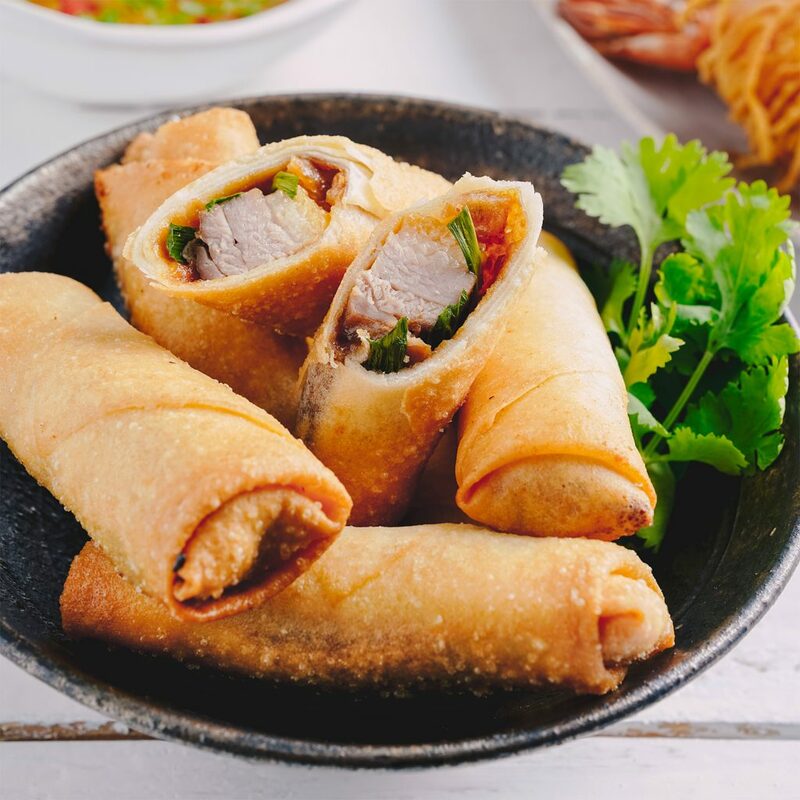 Fry spring rolls in batches for 2-3 minutes or until golden. Drain on paper towel and serve warm.